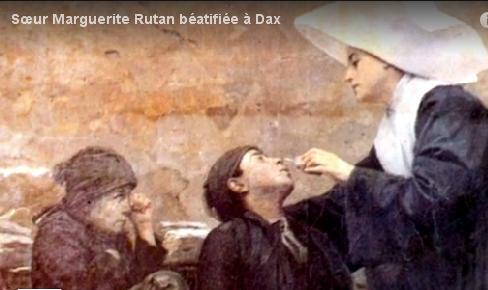 This month, my community, the Daughters of Charity celebrate the feast of Blessed Marguerite Rutan. Blessed Marguerite was born in 1734 in the Lorraine region of France. Her parents were hardworking, holy people who inspired Marguerite by their example. 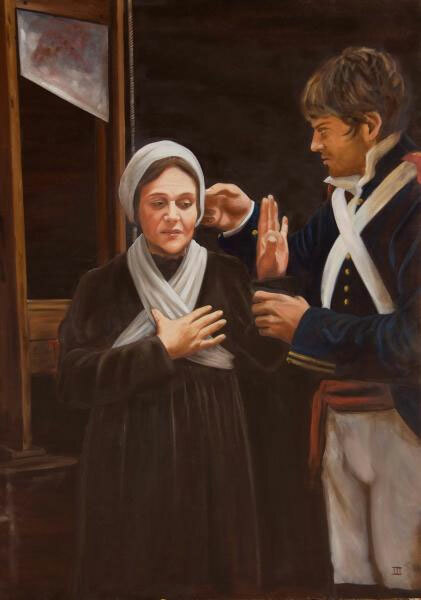 When she was 18 years old, she asked to enter the Daughters of Charity in Paris, France and was accepted. At 21, after joining the Daughters, she was sent to work in the Daughters’ hospital in Dax, France. In addition to caring for the sick, she also reached out to street children and young pregnant women who had been abandoned, as well as distributed food and alms to families in need of resources. She remained in Dax for the next 42 years. In 1789, when the French Revolution broke out, there was great persecution against members of the Church. The Daughters were no exception to those persecutions. Their homes, schools, and hospitals were taken over by soldiers as bunkers and field hospitals. In 1792, the military officials falsely accused Marguerite and her fellow Daughters of robbery. The following year, she was sent to prison and sentenced to death. In April of 1794 she was executed. In 2011, she was proclaimed, Blessed Marguerite. Today, I see Blessed Marguerite as an example for us, in a day when many Christians are persecuted because of their faith. I see her as an example for all people who are striving to care for those who are living in poverty in the face of persecution. When Christians in the Middle East, Nigeria, and so many other areas of the world are being murdered, Blessed Marguerite can be an example of courage and strength for these people. Currently, many of my fellow Daughters of Charity are in these areas ministering to all people who are living in violence. I am confident that they pray to Blessed Marguerite for the people they minister to and with. Blessed Marguerite, pray for us!